Welcome to our weekly Letter of the Week snack series where we are taking time to share a new snack idea for each letter of the alphabet. These letter of the week snacks are a great way to start introducing letters and letter sounds to your children. 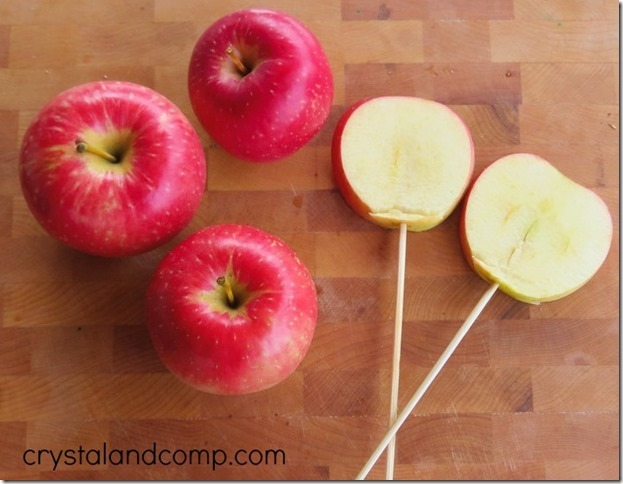 A fun idea for these snack ideas would be to incorporate them into the preschool curriculum. On the week they are learning the letter K, you could bring a Kite snack for the kids as an extra way to reinforce the letter. Using these letter snacks during the summer months is a great way to practice letters so that you are ready when back to school times comes. This week we are working on the letter L and I immediately thought of Lollipop. I wanted to have a little healthier version though, not just a sugary snack so I decided to use some apples that I had on hand and make Apple Lollipops! 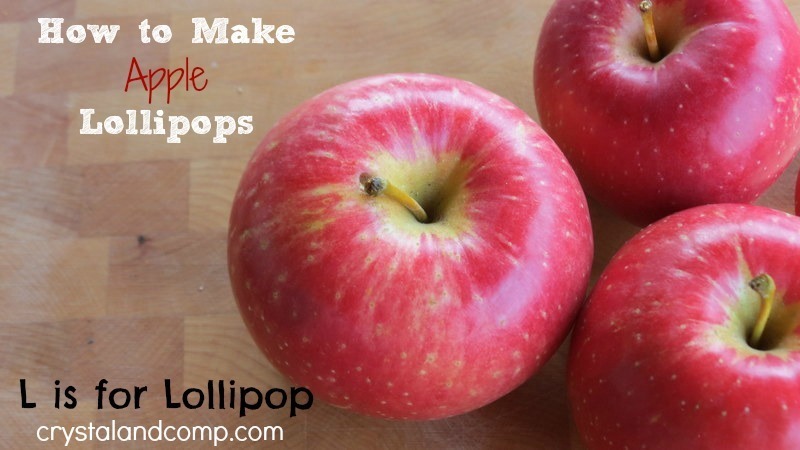 They were simple to make and the kids loved them! Step 3 – Insert your skewer to use as the Lollipop stick. That’s it! Super easy to make! 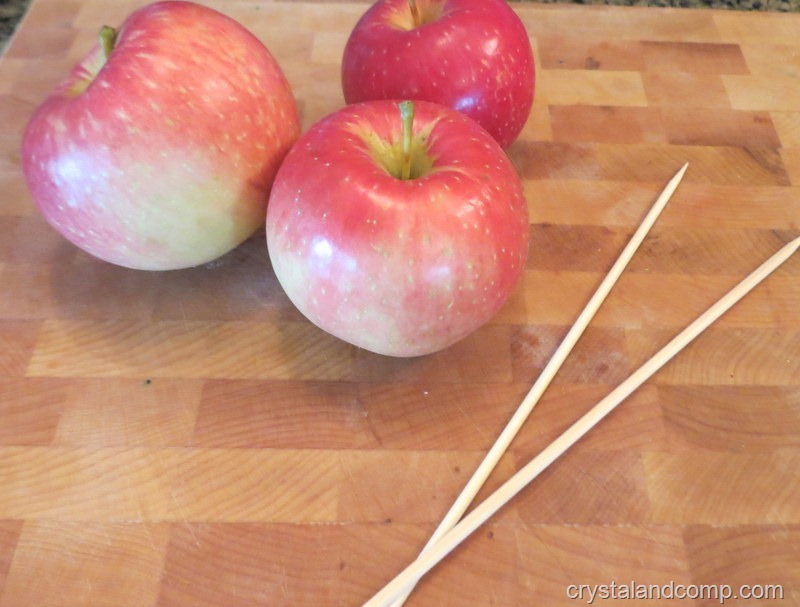 Be sure to watch small children who are eating these so that they do not injure themselves with the skewer. Enjoy!